We’re feeling a little bit overwhelmed that it’s almost the end of August, especially as after this weekend we won’t have another bank holiday until Christmas Day! Where’s 2017 gone?! We’ll soldier on… mainly because we have to, but also because there’s still loads on and lots to see in this “sunny” old town we call London. 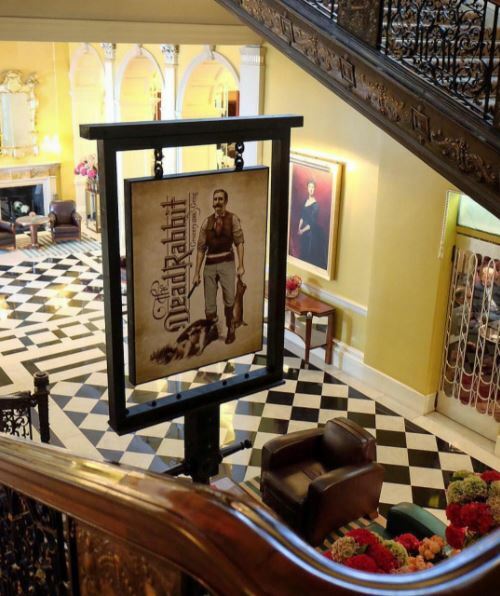 Voted the best bar in the world, The Dead Rabbit in NYC has jumped over to Claridge’s and recreated their second floor Parlor room. Serving Pyscho Killer, Birthday Suit and Bunny Boiler cocktails and throwing in some delightful lobster devilled eggs – we can fully understand why this place is always top of the awards list. Design studio, Marokka, have created Gus the gorilla in partnership with The Aspinall Foundation to raise awareness of the endangered species. 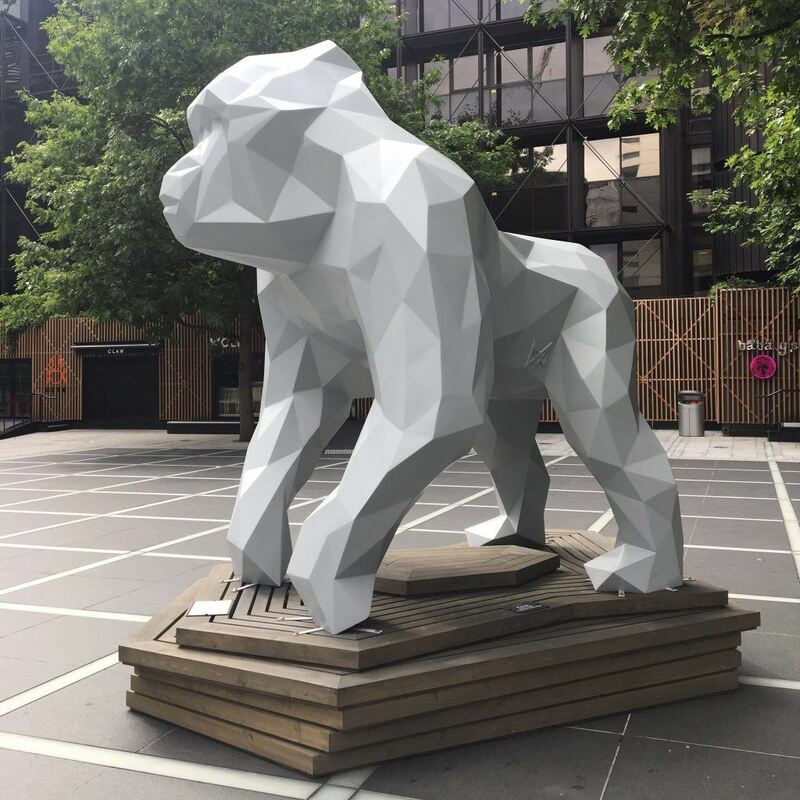 Gus is three meters tall and smack bang in the middle of Finsbury Avenue Square, he’s joined by a few other creatures but they’re only visible through the augmented reality app. Love bath bombs, but can’t quite cope with the overpowering smell that’s emitted from a Lush store? After the success in the US, Lush will be starting up a bath bomb subscription in the UK, so you can get these little beauties delivered directly to your door (we wish it was to your bath, but that would be pretty awkward). 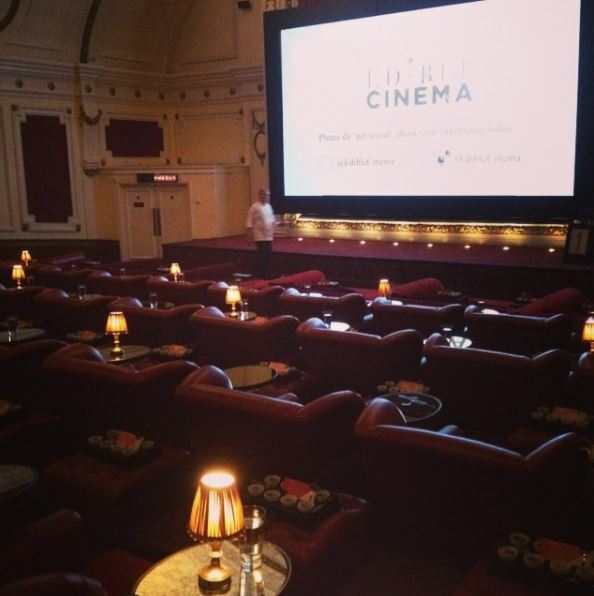 Edible Cinema is the love child from Soho House and Teatime Productions. Each event is a cinematic food experience, taking elements or scenes from film classics and converting them into edible enhancements. Guests are welcomed to their seat with a tray full of goodies and encouraged to eat them at key moments during the film. The next screening is on Thursday for The City of Lost Children. You know us, proud Londonders, but every so often we’ll be a little bit green over something we see elsewhere. Take Mama Shelter for example, designed by Philippe Starck, this hotel-venue space-bar-restaurant-meeting point is a fast growing chain. Packed full of iMacs, chalkboard ceilings, instrument walls (that you can pick up and play), inflatable rubber rings and Loony Toon masks, it’s this ‘orchestrated madness’ that we love. The brand prides itself on creating a relaxed and alternative atmosphere, and it does just that.